On Thursday September 20, IBW had their second annual Employee Recognition Day. A highlight of the day is presenting the Founders’ Award. This award is presented to a staff member that has been nominated by their peers. This years award winner was Andy Jones. It is well deserved! Ivan B. Wallace shared stories and sentiments about Andy, followed by Crystal Cranch unveiling his gift. 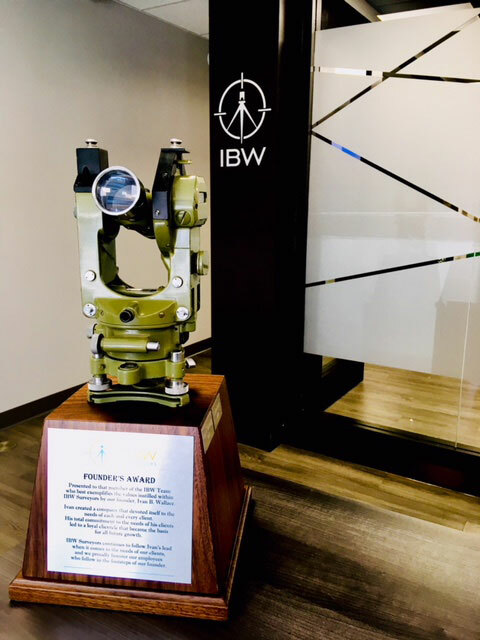 Congratulations to all the recipients and thank you for your contribution to IBW!